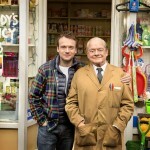 Creator Roy Clarke (Last of the Summer Wine, Keeping Up Appearances) has written the special which will star Sir David Jason will reprise his role as South Yorkshire shop worker Granville. 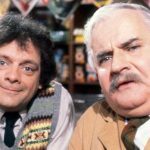 According to the Radio Times, the story will pick up with Granville having inherited the business previously run by Ronnie Barker’s Albert Arkwright with his son as his, hopefully, hapless assistant. Having premiered in 1976 and running for 4 series, it’s been nearly thirty years on since the last episode of Open All Hours was shown on BBC One in 1985. 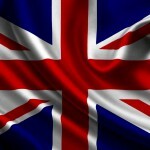 Still a perennial favorite in the U.S. on public television stations, the series ranked eighth overall in Britain’s Best Sitcom, a poll taken in 2004 in the UK. We were extremely fortunate to interview Roy Clarke back in 2010 as part of PBS’ Behind the Britcom: From Script to Screen to talk the final days of Last of the Summer Wine, Keeping Up Appearances and Open All Hours. Besides giving us a bit of insight as to how he was able to write LOTSW for some 38 years and 295 episodes, he also let us in on how the shop in Open All Hours was based on a shop called L E Riddiford in Thornbury, South Gloucestershire. He mentioned that most writers of British situation comedy, if possible, base characters or situations on something they are familiar with or have experienced. It was common knowledge that Are You Being Served writer, Jeremy Lloyd, based much of his writing of the series on his early days at Simpson’s Department Store. In writing Open All Hours, Roy Clarke visited Thornbury while traveling, ran across the small shop and loved the shop layout and the store owner, Mr Len Riddiford. 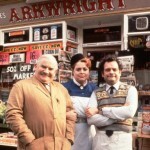 As a result, the store was referenced in numerous Open All Hours episodes by Barker’s Arkwright character. 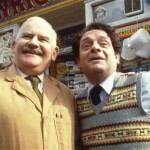 After 'Still Open All Hours', could there be a 'Still Only Fools and Horses'?